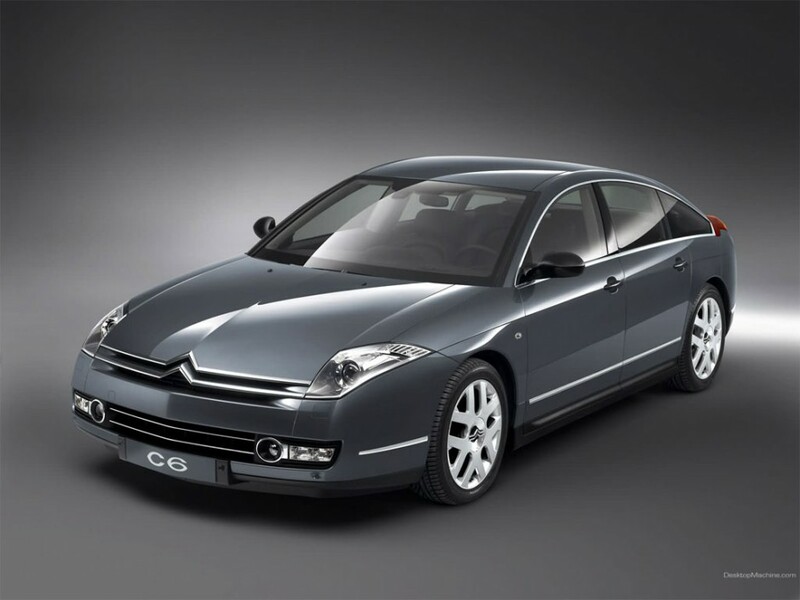 More likely to be chosen by drivers that don’t want to be part of the herd, the new Citroen C6 offers a serious alternative to the hundreds of prestige German cars that fill our streets and cram our car parks and you must say, are becoming a bit common now. The styling of the C6 is gorgeous just because it’s so different and it gets attention everywhere you go in it. Parking the C6 almost anywhere during the week we had the car, when we returned, we usually found someone standing beside it admiring it, or staring into the window at the gorgeous cream leather. Our car was the top of the range Exclusive 2.7 V6 Turbo diesel and there wasn’t much you could want in a car that wasn’t already included as standard on the Exclusive. The car was full of really good and really unusual features such as a head up display which projected your speed and the sat-nav instructions onto the windscreen in front of the driver and that was really nice to use. The C6’s Xenon directional headlights were superb and automatically activated when conditions call for it as were the cars wipers. The C6 also has a speed sensitive rear spoiler that pops up out of the boot lid at somewhere around 70mph. The C6 Exclusive also gets a Lane Departure Warning System to prevent the driver drifting over the white lines in the road and into an oncoming lane. At 50mph or over, if you deviated outside of your lane, the Citroen gives you quite some reminder by making the drivers seat thump and vibrate a lot like driving over cats eyes or a saw tooth kerbing. The movement in the seat was not the most pleasant thing in the world, but for sure, it would be more than enough to jolt you back into life if your attention was beginning to fade. A good feature which providing you leave it switched on it could easily save lives. The cars heated electric seats were extremely comfortable, even after a non stop 200 mile journey. The seats are infinitely adjustable using a bank of switches located on the doors. Even the rear seats were adjusted electrically and could be reclined to suit any passenger. A nice touch was that the rear passenger could electrically slide forward the seat in front of them to give more legroom, not that it was necessary, because the back of the car is cavernous anyway. The C6 offers loads of storage areas and every opening and shutting piece of the car was just so smooth in the way it operated. We thought the satellite navigation system which is shared by other models lower down in the Citroen range, could have been better. Although it did its job, on occasions, it took a long time to program a new destination and on one particular occasion, it just would not take us where we wanted to go. We tested it side by side with a £250 Road Angel, which we able to program more quickly and it did take us to the location that the C6 system wouldn’t. We could live with the Sat-Nav, but we didn’t like the lack of Bluetooth connection to you mobile phone. Citroen provide a sim card slot in the dashboard but that means pulling your phone apart to get the sim card out each time you come back to the car. When you do that, it works faultlessly of course, but frankly, we just couldn’t be bothered other than on the one occasion to try it. The lack of Bluetooth surprised and disappointed us on such a new car as most other manufacturers have gone down the Bluetooth route as it’s so easy. Driving the car was effortless, its super smooth V6 Diesel being the match for any other diesel in its class. The transmission was excellent in every way and behind the wheel of the C6 it was a very nice place to be. In summary, Citroen have produced a fabulously stylish car that oozes luxury and that’s built to a very high standard. The C6 rightly deserves to be seriously considered alongside the major German brands. If you can get over the stupid British obsession of buying a badge and if you are looking for a car that is going to be far more exclusive on the road than most other luxury cars, this is the executive car for you, but don’t let this be the only reason you consider the C6, because it is every inch the real deal and if it had one of the German, you would be queuing up to get your hands on this car. Our roads are full of prestige German brands and there is never going to be that number of C6’ around, so you are always going to get noticed and always stand out in the crowd. If you want to send a message that you have your own mind and that you admire quality and design, then the C6 is the alternative you have been searching for. From our point, I guess the final test was when it was time to say goodbye to the Citroen C6 and we were really sad to see it go. They say nothings perfect, but I would happily forgive the odd shortfall if I were able to drive a C6 all the time. With prices starting in the high 20’s right up to almost £40,000, the C6 isn’t cheap, but then it isn’t a cheap car!